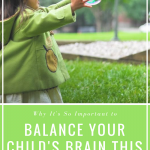 Summer is the perfect time to balance your child’s brain. Research shows that so many children struggle when they head back to class in the fall due to poor diets, lack of brain boosting activities and more time indoors. Avoid the summer’s ‘brain drain’ and help your child develop optimal brain chemistry before the first day of school. Terrorism and tragedy are all over the news and impossible to ignore. It can be hard to talk to your child about the scary things we see and hear on the news. Many of us pretend our children don’t hear about this at school, with friends or see the images that we see, but they do. The sad reality is, horrific acts have become more common in the world we live in. This impacts their brain chemistry and mood tremendously. 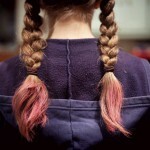 » Read more..